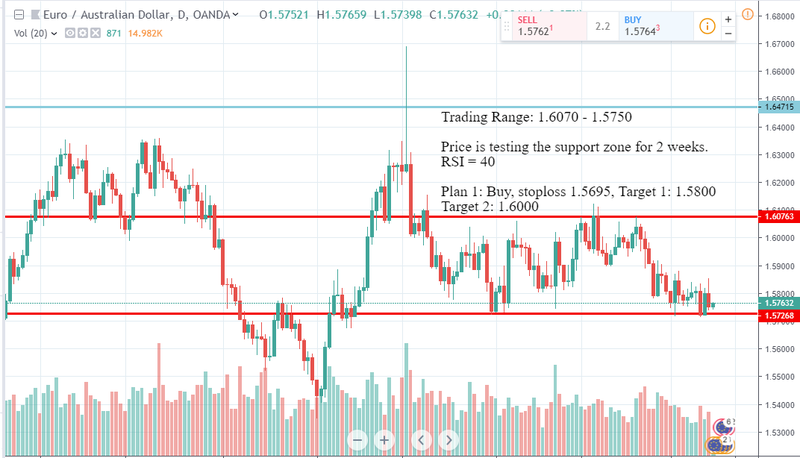 It is the same set up for euraud, and I decide to buy again. First attempt to buy with 20 pips profit. Second attempt to buy with 50 pips profit. This is third time to buy this pair again. 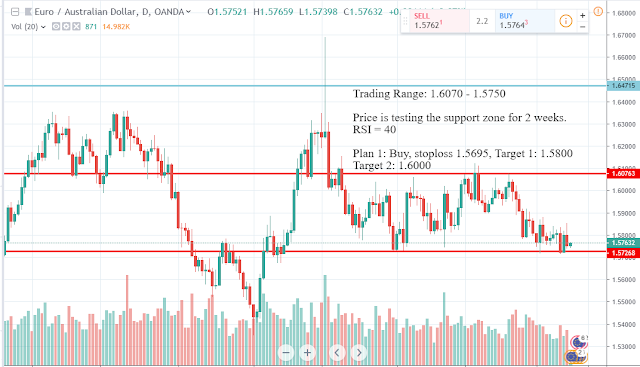 After two weeks, the pair is still testing the support zone around 1.5750. I have buy at 1.5750 with stop loss move to break even already. So this is free risk trade.